Start off your visit on the 9th (Sat): admire the landmark architecture of Texas State Capitol. Here are some ideas for day two: get engrossed in the history at National Museum of the Pacific War, learn about winemaking at Grape Creek Vineyards Fredericksburg, then brush up on your knowledge of spirits at Garrison Brothers Distillery, and finally learn about winemaking at Hahne Estates Winery. To find traveler tips, where to stay, maps, and tourist information, use the Austin day trip app . New York City to Austin is an approximately 7-hour combination of bus and flight. You can also fly; or drive. Traveling from New York City to Austin, you'll gain 1 hour due to the time zone difference. Traveling from New York City in March, expect nights in Austin to be a bit warmer, around 53°F, while days are much warmer, around 75°F. Finish your sightseeing early on the 11th (Mon) to allow enough time to drive to San Antonio. On the 12th (Tue), explore the galleries of The Alamo, shop like a local with The San Antonio River Walk, admire the architecture and history at Mission San Jose, then pause for some serene contemplation at Little Church of La Villita, and finally get to know the fascinating history of La Villita Historic Arts Village. To find other places to visit, ratings, and tourist information, go to the San Antonio trip planning app . You can drive from Austin to San Antonio in 1.5 hours. Other options are to take a bus; or take a train. Expect a daytime high around 76°F in March, and nighttime lows around 54°F. Finish your sightseeing early on the 12th (Tue) so you can drive to South Padre Island. A vibrant resort town, South Padre Island sits on a barrier island of the same name, located just off the Texas Gulf Coast. 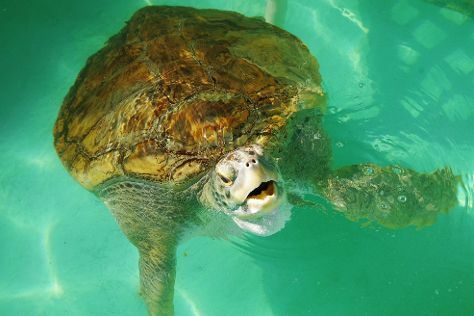 Kick off your visit on the 13th (Wed): identify plant and animal life at Sea Turtle, Inc., then explore and take pictures at Laguna Madre Nature Trail, then soothe aching muscles at some of the top local wellness centers, and finally meet the residents at South Padre Island Dolphin Research & Sea Life Nature Center. For reviews, photos, other places to visit, and tourist information, read South Padre Island route maker website . Traveling by car from San Antonio to South Padre Island takes 5.5 hours. Alternatively, you can take a bus; or fly. When traveling from San Antonio in March, plan for little chillier days and a bit warmer nights in South Padre Island: temperatures range from 71°F by day to 62°F at night. Finish up your sightseeing early on the 13th (Wed) so you can travel to Dallas. Kick off your visit on the 14th (Thu): wander the streets of Bishop Arts District and then examine the collection at The Sixth Floor Museum at Dealey Plaza. To find traveler tips, reviews, where to stay, and other tourist information, read our Dallas trip maker . Fly from South Padre Island to Dallas in 5.5 hours. Alternatively, you can do a combination of shuttle and flight; or drive. Traveling from South Padre Island in March, you can expect nighttime temperatures to be a bit cooler in Dallas, with lows of 50°F. Finish your sightseeing early on the 14th (Thu) to allow enough time to travel back home.